Designed to flex with life, the Samsung U Flex Headphones deliver a top-notch sound experience with a lightweight, bendable, around-the-neck design. 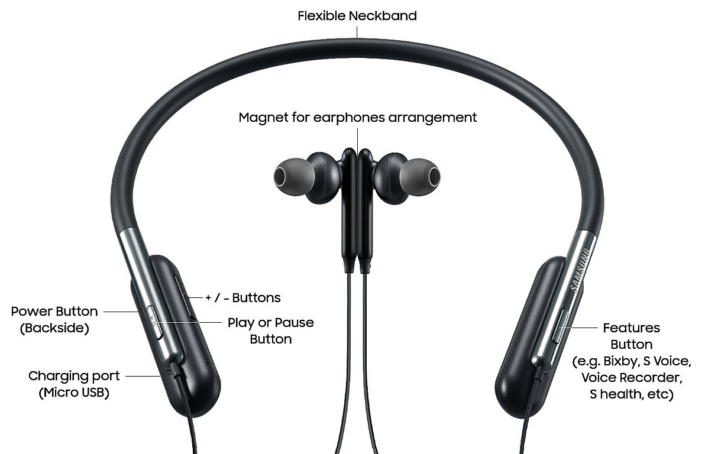 With improved Bluetooth connectivity, convenient smart features and a splash resistant coating, users can enjoy their favorite music wherever, whenever. 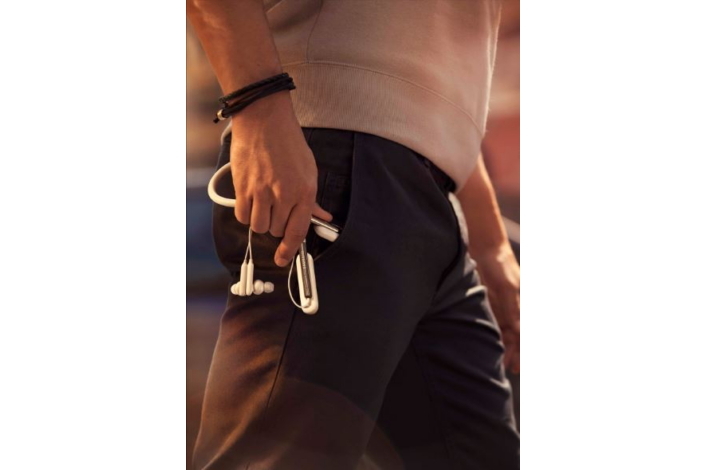 With its incredibly flexible neckband adjustment, Samsung U Flex Headphones are designed to fit comfortably and withstand harsh conditions so they keep working when users need them, whether at the gym, commuting to work or out for a morning jog. Bendable by up to 100 degrees, the portable headset will not lose its shape or break, even when carried in a small bag or pocket. * Available in Black, Blue and Ivory, the Samsung U Flex Headphones also fit just about any style. Offering a peerless audio experience, the headphones are engineered with two-way speaker units that consist of 11-millimeter woofers and 8-millimeter tweeters that deliver powerful bass, deep mids and clear highs. Combined, the speakers guarantee crisp, balanced sound across the entire frequency spectrum. 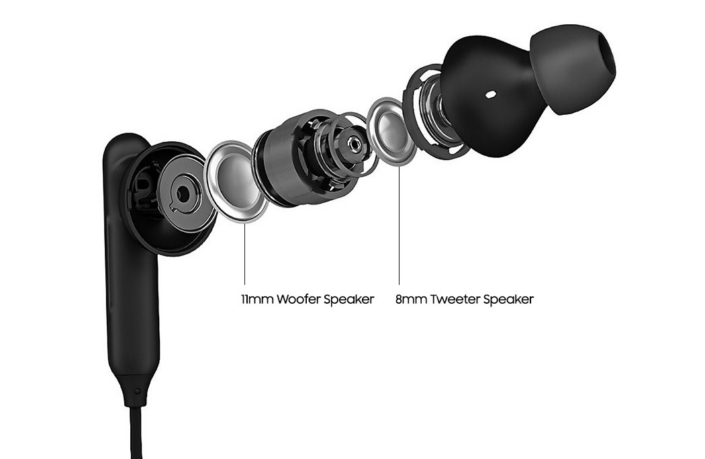 Incorporating Samsung’s proprietary Scalable Codec technology,** Samsung U Flex Headphones continuously analyze ambient interference from Wi-Fi signals to optimize audio performance, thus ensuring a stable Bluetooth connection and seamless music playback. With the integrated Active Key, Samsung U Flex Headphones add convenience to everyday tasks -without having your smartphone in your hand. Users can easily utilize various functions such as the Clock, Timer, Samsung Health, Favorites as well as various voice commands*** paired to your mobile device, with the simple touch of a button. Samsung U Flex Headphones’ vibration notification feature ensures that users never miss a call, even in noisy surroundings, while P2i nano coating technology protects the device from splashes. Furthermore, a single charge equates to 10 hours of play time, meaning users can enjoy first-rate audio all day long. Should they want to customize their sound experience even further, users can adjust the equalizer, among other settings, with the Samsung Level app. * Excessive neckband bending could result in product disfiguration and malfunction. Avoid bending the neckband more than 100 degrees. ** The scalable Codec is compatible with select Samsung smartphones using Android 7.0 or later OS versions. *** On Galaxy S8 and S8+, the Active Key prompts advanced voice recognition via Bixby, Samsung’s intelligent interface. Bixby service availability may vary by country.